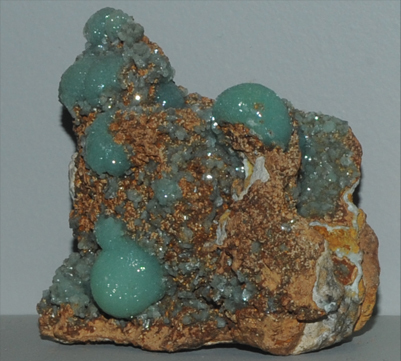 These samples of adamite are displayed in the Smithsonian Museum of Natural History. 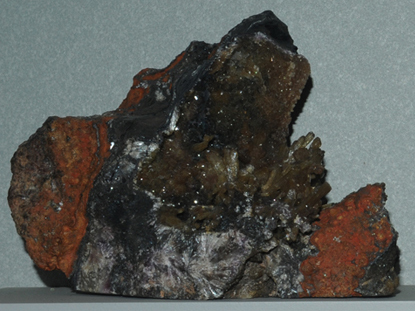 Adamite is an oxide which contains zinc and arsenic with the composition Zn2AsO4(OH). It is classified as part of the olivenite group as an arsenate. 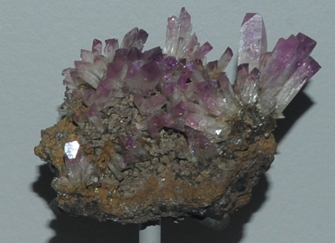 This sample is about 6x6 cm and is from Tsumeb, Namibia. 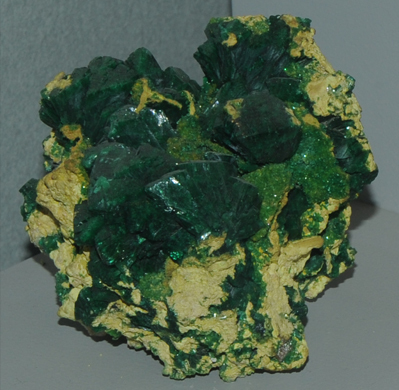 It is classified as cuprian adamite because of the copper content. This adamite sample is from Laurion, Attike, Greece. It is about 14 x14 cm. 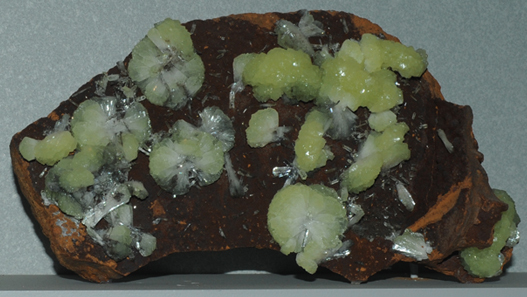 This adamite sample is from Santa Eulalia, Chihuahua, Mexico. It is about 11 x 8 cm. This adamite sample is from Ojuela mine, Mapimi, Durango, Mexico. It is about 28 x 21 cm. This adamite sample is from Ojuela mine, Mapimi, Durango, Mexico. It is about 35 x 20 cm. 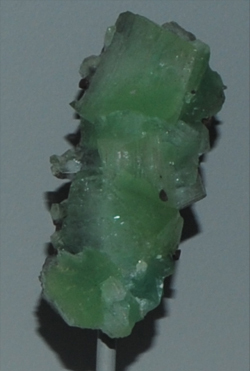 This adamite sample is from Ojuela mine, Mapimi, Durango, Mexico. It is about 4 x 10 cm.